There are total 254 hosts with starting address of 172.154.60.1 because 172.154.60.0 is reserved for base address. Because 172.154.60.209 is used for broadcast address. Fragment offset field is of length 13 Byte and contains data in unit of 8 byte. So length must be in multiple of 8. When data packet size is less that MTU, router does not fragment the package. Only IP headers are added to data to deliver at right destination. Autonomous systems in internet are connected devices with specific IP address prefixes and consist of one or more networks in a single behalf like organization, business point and department. Together they present the routing policy for internet. Autonomous systems share routing information and communicate with each other via Inter-domain routing and Interior Gateway Protocol respectively. Internet uses inter-domain network protocol to connect with domains. 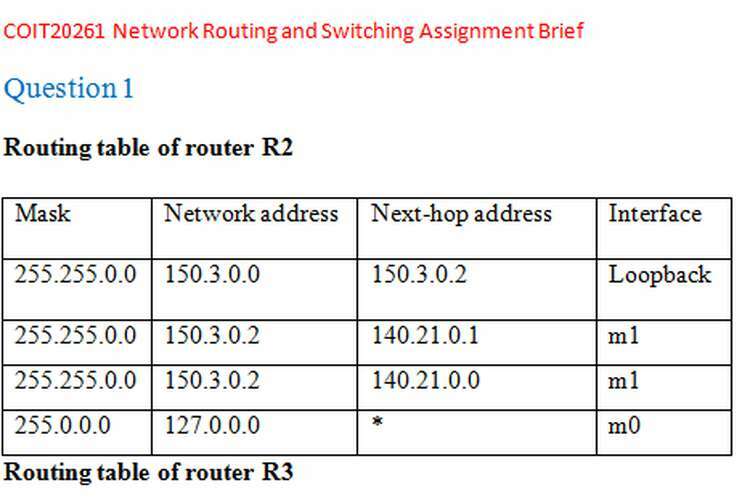 BGP router announces the IP prefix for route to destination and inert-domain path is used to reach destination in network. Autonomous systems use specific ASN number which is used by inter-domain path to reach associated prefix in internet. Intra-domain routing protocols like shortest path finding and distance vectors are used to identify and reach the destination within same autonomous system. Similarities: Both the protocols uses the concept of distance vector and link state algorithm to find the destination Cost and Quality is check to reach destination securely and effectively. Differences: Intra domain protocols are used to identify the exact destination with ASN number in same group of Autonomous systems where as inter domain identifies the network in which AS is situated. Intra domain needs to deal with fewer number of resources so it is faster and smarter but inter domain protocol needs to deal with different gateways with different domains so it is comparatively slow. Need of different protocols: we need different protocols for intra domain and inter domain routing because modularization of searching helps to identify the destination faster by making use of network prefixes and ASN numbers. Structure inside and outside autonomous system is different in term of cost and performance. To minimize the effort to arrange the resources in network. Current routing problems are scalability, route insertion and robustness and responsiveness. Internet is increasing every minute and scalability of networks with distance positions of routers is leading problems to manage scalability in effective manner. Devices management and monitoring is front problem in scalability. Also the insertion of looped and anonymous route in network is challenging work for organizations. Original configuration of network devices and routers are being less effective as they are vulnerable to security. Attackers can inject their own routes and traffic inside the network which draws a bad impact on performance and security management in network. Due to huge entry of unwanted routes and packages in network via routers lead the problem of reduced responsiveness and performance in network. Also the vulnerability with DoS attacks and method of traffic engineering affects the routing services. Management of trust and cooperation between sender and receiver is becoming problem in routing. Embedded routing provide gateway to multitude of Ethernet and wireless devices with a single dial up device. Embedded chip is used for DHCP and NAT so that various devices can be connected to an Embedded routing device. It is used to connect multiple sensors to a wired LAN with single dial up or cellular gateway. It is also used to share internet from one cellular device to all other devices connected to it without considering the differences in manufacturer and vendors. Extensible routing is used to connect scalable, private, efficient and versatile networks with higher profitability. This is useful in cloud and internet of things. Major similarity in both routings is that routings provide high end solution to scalability, effectiveness and performance with less maintenance and high security. However, Extensible routing is capable to use in cloud computing and provides cost effective, integrated, globally supported and cross platform solution which is wireless connected to sensors and devices those are globally parted. Network routing as services presents an effective solution to deal with challenges appearing in routing problems. New proposal is effective to avoid undesired autonomous paths in network by identifying them with dynamic DHCP and NAT technology which in embedded in routing device. Implementation of path vector algorithm and RSP is useful to eliminate undesired AS in network to inject their route. Access control list is effective to block unwanted routes in network by blocking certain traffics towards the network devices. Access control can be used in firewall and systems to grant only the listed requested from the senders in internet. Implementation of RAS is capable to deliver high quality services to destination as it aggregate the traffic and determine the priority of traffic in network to make the reach to destination fast and secure. Customer policy specification and avoidance of conflicts among gateways are useful for high performance at gateway devices whereas scalable use of underlying hardware for customer experience is helpful to deliver high performance.